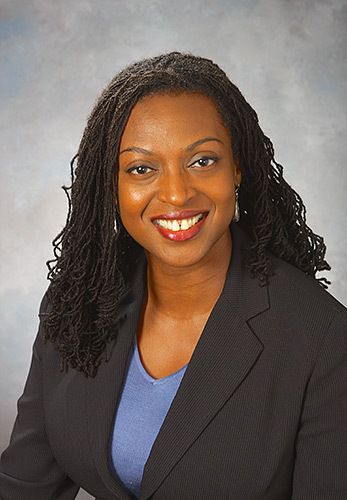 Yolanda Knight is currently Program Director at the Steans Family Foundation. She began her career as a teacher in East Garfield Park on Chicago’s West Side, and throughout her career, has worked in various capacities to improve educational opportunities for Chicago’s students. Yolanda has served as a Program Officer at the Lloyd A. Fry Foundation, where she advised its Board on strategic priorities and investments for a $2MM education portfolio and supported the Foundation’s High School Initiative—a five-year, $9 million effort to improve learning environments in five Chicago public high schools. Prior to her work at the Fry Foundation, Yolanda was Assistant Director of the Chicago Public Schools’ Department of Postsecondary Education, where she developed the district’s framework for increasing college matriculation and success. Yolanda has more than 20 years of experience in education in Chicago, having also worked as a financial aid administrator, an adjunct professor, and a consultant. Most recently, as Director of Development and Evaluation at the University of Chicago’s Network for College Success, her work has focused on strengthening organizations that support students’ critical transitions into and beyond high school. Yolanda graduated from the University of Notre Dame with a dual degree in Psychology and African‑American Studies. She earned a Master's degree in Education from the University of Illinois at Chicago, and is the proud parent of a pre-schooler and CPS kindergarten student.